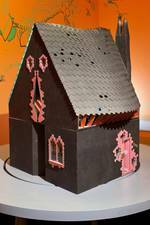 London's housing market has been off the charts lately. And with local art fair Frieze, the contemporary art market's circus came to town last week, too. 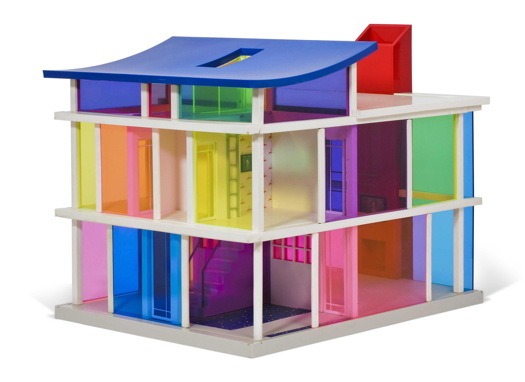 Yet this unholy confluence, along with the ascendance of Lena Dunham to the cultural pantheon, was not enough to close the deal at Christie's this morning for artist mom Laurie Simmons' Kaleidoscope House, which failed to sell online for the GBP 5,000 - 7,000 estimate. 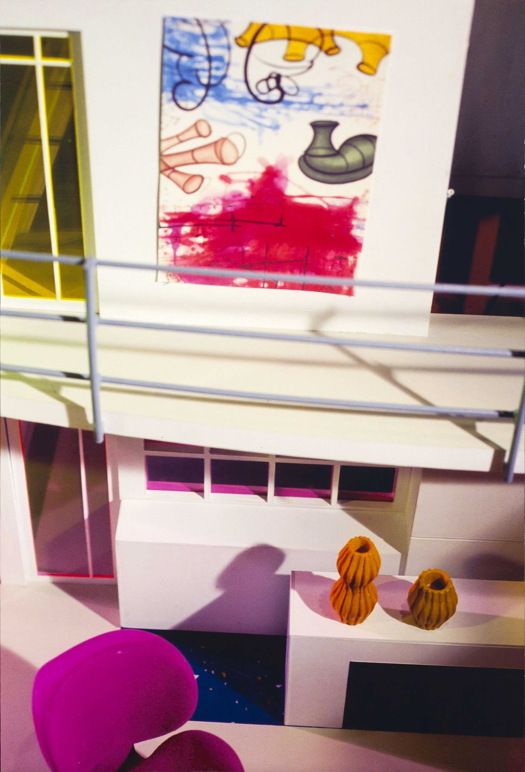 DT regulars and Googlers will know that Simmons' swanky plastic dollhouse, created with architect Peter Wheelwright for Bozart in 2000, has been a bellwether of modernist toy design and the knuckleheaded speculative trading that can accompany it: just like real real estate and art! 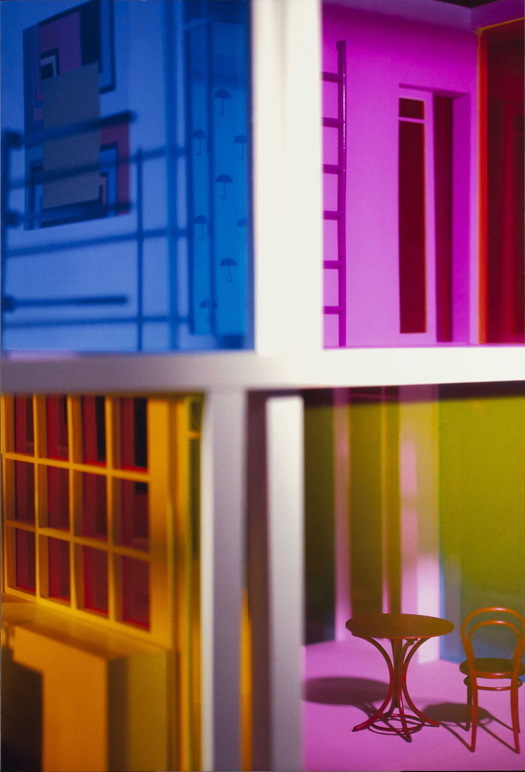 This time, though, five thousand pounds would also have bought you two Simmons photographs of Kaleidoscope House, from an suite of ten pictures I haven't seen since the dollhouse was unveiled at Deitch Projects fifteen years ago. They must have broken up at least one set. I was completely clueless and kidfree at the time, but now the poppin' nursery appeal of these photos is obvious. So if this is your bag, baby, ring Christie's; they might have a motivated seller for you.